Thumb Ensemble rehearsing ‘black bile’ by Marc Yeats. Marc Yeats: associate artist and co-director of DIVAcontemporary has two World Premieres this month. As well as being Composer-in-Association with Thumb Ensemble (Birmingham) thisisthumb.co.uk/marc-yeats, Marc as a new composition with the Antara Project a compilation of various artists: Breaking through (Antara amb) to be released 31 January 2013. 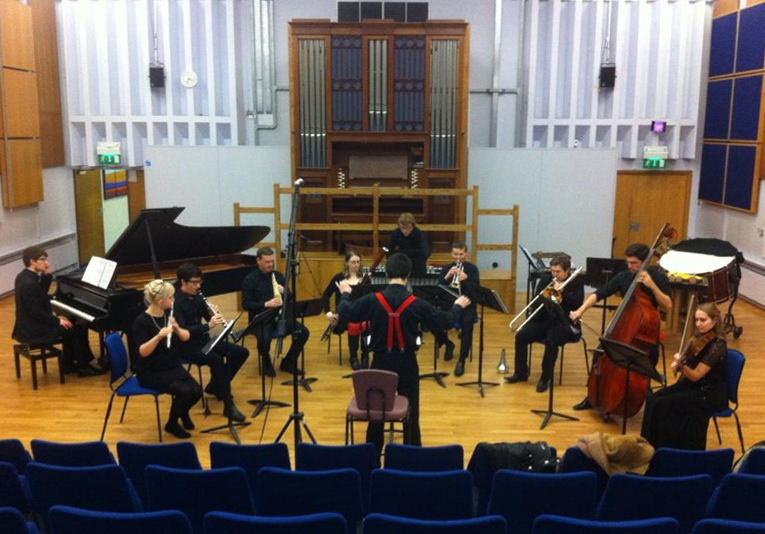 Recital Hall, Birmingham Conservatoire, Birmingham 7.30 p.m.